What Can Investors Learn from Crypto Funds? There are currently over 250 crypto asset investment funds with an estimated USD 7 billion in assets under management that are betting on the potential future value of the crypto economy by investing in a range of digital currencies and tokens. While the entrance of institutional investors with deep pockets benefit crypto asset valuations, crypto funds also provide valuable insight into possible digital asset investment strategies for private investors. In this article, you will discover what the portfolios of several leading crypto funds look like so that you can gain insight into how the professionals are investing in bitcoin and co.
Due to the popularity of passively-managed index tracker funds in the equity markets, it is no surprise that these types of funds have also made it into the crypto asset markets. An index fund either tracks an existing index or creates its own index, which it then tracks. According to a 2017 report by Autonomous Research, an independent research provider on the financial sector, around ten percent of crypto funds deploy this investment strategy. 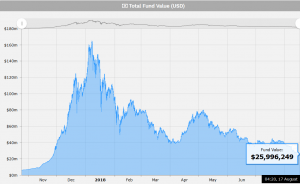 An example of a crypto index fund is Crypto20, which refers to itself as “the first tokenized crypto index fund” as it enables investors to purchase tokens instead of shares in its fund. 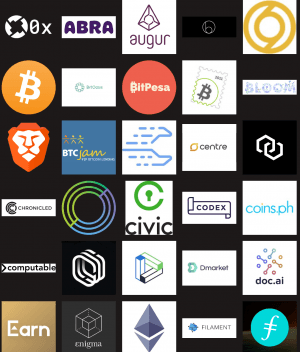 According to the fund’s fact sheet, the Crypto20 fund tracks the 20 leading digital currencies and tokens measured by market capitalization. However, the fund’s constituents are not held in relation to their market value. Instead, the portfolio managers have used their discretion when deciding on the portfolio weighting of each asset. When looking at the Crypto20 fund, we can see that ETH, XRP, BTC, BCH, EOS each make up around 10% of the fund's exposure. This is followed by XLM (8%), LTC (6.9%), ADA (5.4%) and IOTA (3.9%). The remaining holders make up around 3% each or less, which can be seen on the fund’s performance dashboard. Another example of a crypto asset index fund would be Grayscale Investments’ Digital Large Cap Fund, which invests in a market capitalization-weighted portfolio of the five largest digital assets in the market. 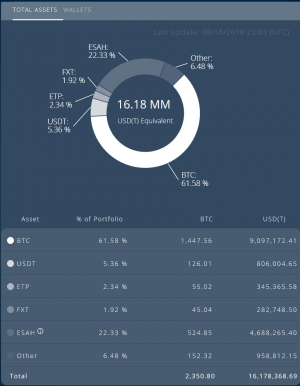 The fund, which is rebalanced every quarter, currently holds 63.2% BTC, 20.3% ETH, 8.1% XRP, 6.3% BCH, and 2.1% LTC. If you want broad exposure to the crypto asset market because you believe in the success of the growing crypto economy, setting up a portfolio in a similar manner to an index fund that has the top 10 or 20 largest tokens in it could be a good approach to investing in this asset class. “Hodling” the most valuable existing digital tokens - measured by market capitalization for example - would provide you with a well-diversified portfolio that is positioned to increase in value as the market continues to grow. Furthermore, as such a portfolio would not contain any small-cap altcoins, it would be less risky than a portfolio that attempts to pick “the next bitcoin” among up and coming altcoins. These are actively managed funds that invest in the most promising digital assets, according to investment criteria set by the fund itself. This investment strategy is popular among crypto funds as it provides portfolio managers with the opportunity to take advantage of market trends and hype around specific projects. Conversely to a fund that actively trades on a daily basis, token basket fund managers will hold positions for several weeks or months before exiting them. An example of a token basket fund would be TaaS (Token-as-a-Service). The blockchain asset investment fund was launched in 2017 after raising USD 7.5 million during its token sale. TaaS is a close-ended crypto asset investment fund that enables investors to purchase a token, as opposed to a share, in its fund, which entitles them to a quarterly profit share payout. When looking at the TaaS portfolio, we can see that the fund has substantial holdings in BTC and USDT but also possesses dozens of positions in initial coin offering (ICO) tokens, which fall under its “Early Stage Contributions & Assets on Hold” sub-portfolio. A key strategy of TaaS is to leverage its position as a crypto fund, to receive discounts at the pre-sale stage of ICOs to boost its returns. 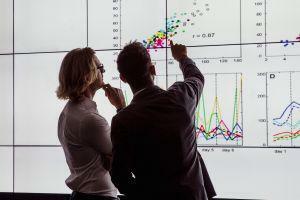 Key Takeaway for Investors: If you are experienced in conducting investment research and have the confidence to pick winners over losers, then constructing a crypto asset portfolio according to your own investment criteria can be an excellent strategy to build a well-diversified portfolio with high earnings potential. Moreover, if you are comfortable to take on the risk of investing in early-stage blockchain startups by purchasing their ICO tokens, you should consider entering the token sale at the pre-sale stage to receive a substantial discount versus the public sale. Among the most popular crypto fund investment strategies, you also find active trading approaches and, in some cases, combined with algorithm trading. These strategies are primarily deployed by hedge funds, who have always been on the cutting edge of trading technology and are known for their opportunistic trading approaches. The Jersey-based Global Advisors Bitcoin Investment Fund, which was founded in 2014, for example, actively trades bitcoin and bitcoin-related financial products to generate a return for its investors. If you can dedicate a substantial amount of your day to actively trading digital assets and have the experience to recognized short-term market trends, then taking an active trading approach where you enter and exit positions within a day or a week could be a very lucrative approach to investing in the crypto asset universe. Furthermore, if you want to deploy specific trading strategies, such as buying an asset every time it drops by ten percent within a day, you could use algorithmic trading bots to execute this strategy automatically. Both day trading and the use of trading bots come with a substantial amount of risk and is generally reserved for experienced traders. Many of the most successful digital asset investment funds engage in a mixture of venture capital and direct token investments. 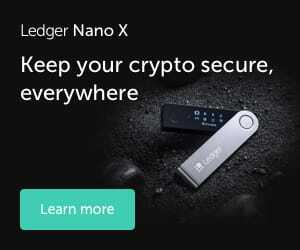 Similarly, market-leading blockchain investment firm, Digital Currency Group, has invested in dozens of cryptocurrency and blockchain startups through strategic venture capital investments but also has holdings in digital currencies such as ZCash and runs an investment fund, Grayscale Investments, that has invests in a range of digital assets. Key Takeaway for Investors: If you want the most diversified exposure to the blockchain industry possible but do not want to only hold digital tokens, you should consider investing in equity crowdfunding rounds as well as initial coin offerings of blockchain startups with a high potential to succeed. Additionally, you could optimize your portfolio by adding holdings in the leading digital assets found in the top ten largest crypto assets. While most crypto funds do not share their portfolio components publicly, the above-listed publicly available portfolios provide private investors with a great insight into a range of investment strategies that effectively anyone can deploy. When it comes to choosing an investment approach that is right for you, the key is to be aware of how each portfolio performs in different market conditions and to find an investment strategy that is best suited for your investment needs and risk appetite. A passive index-tracking approach, for example, requires very little involvement and ensures that you could profit from an increase in the overall value of crypto assets. However, in a bear market, you will also feel the full brunt of the downturn. Conversely, a more active investment approach would allow you to close out undesirable positions in a bear market and to enter into more defensive investments until market sentiment turns.